Earn up to 15,200 reward points. Master Craftsman quality builds with modern technology. The RGR5220M features a Birdseye Maple fretboard and an Ash top/African Mahogany body. The Super Wizard HP neck provides extra-smooth playing. The UK-made, handwound Bare Knuckle Brute Force pickups produce a deep, saturated tone. The Lo-Pro Edge bridge offers maximum playing comfort due to its streamlined profile and recessed fine tuners. A hardshell case is included. The RG5000s feature Stainless Steel frets for a bright tone, long durability and smoothness, a rigid 5-piece Maple/Wenge neck, a fretboard with beautiful wood grains, Made-in-Japan Luminlay side dots and the most cutting-edge pickups. 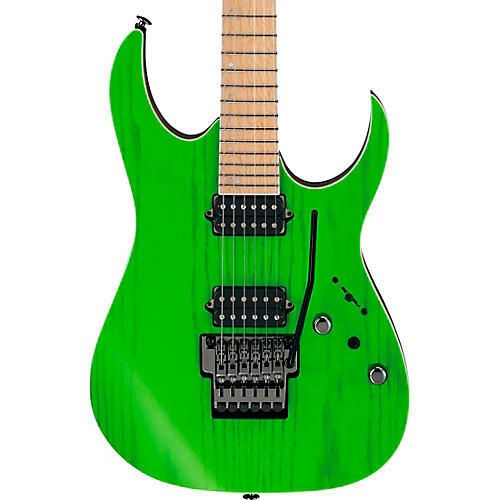 Click or call to order your Bare Knuckle-loaded RG Prestige 5220M today.